In the struggle to ensure that your organization is booking profits and your employees are happy, you make sure that your employees get trained. Many facts and data point a correlation between profits of the organization to employees training and personal growth in the organization. A natural outcome of training is increased rate of retention and decreased rate of attrition of employees. And how much time does an employee have to train? According to a recent study, employees have only 5 minutes per day to devote to training. These two advantages have made the learning and development teams to accept and run with online training as a base to run their training and training initiatives. A couple of years ago, mass training were the norm. However, today’s employees want personalized training and on-demand training –i.e., they are given training when they ask for it. Additionally, organizations have begun to use instructor-led as well as online training modules to help organizations have the best of both traditional as well as online training. Among many benefits of using a LMS software, one that stands out is of saving time. By using a Learning Management System, learning and development (L&D) teams have been able to focus energies on thinking through strategies, creating the right training and collaborating with the teams more efficiently to help employees. Trainers are continuously looking for the best ways to deliver training in a short amount of time which helps them track employee performance on training and help link it with on-the-job performance. L&D departments usually set up their training calendars much ahead in the year to ensure that training is developed, and content that is curated is the best. This is also done to prepare for specific mandatory training, and this is where an LMS may help in saving much time for the L&D department. So how does the LMS save your time so that you can train your employees better? How to Save Time by using the LMS? Reach out to external and internal customers in time: Through the LMS organizations may save time and money on training internal employees (e., organization’s employees) and external stakeholders (customers or clients) in all time zones around the globe. By choosing to give live instructor-led classes or sharing self-paced courses, for their training they can set-up a class at a mutually convenient time. LMSs typically have virtual conference feature or use a Virtual Classroom plugin to hold instructor-led online courses or webinars for their audiences. Revisiting a particular training isn’t a problem as employee can view recordings of the trainings at their convenience. Instantly scale anytime: With online training, mass training can occur, paperless and in the employee’s seat, in a short time. Massive open online courses aim at just that – getting thousands to learn at the same time. Organizations can now use the LMS to reach out to any number of employees. Instant Reports everytime: When employees attend online courses, many metrics are recorded to the advantage of the trainer- such as, how many learners attended the virtual class, how many have begun learning from the online course, and how many have completed the course. These are recorded and may be downloaded as excel reports. Even tests results are tabulated for multiple users for the instructor. Simultaneously, the learner is able to see the test results and time is saved on feedback sessions. If required Trainers may take a call on which employee should they take a feedback session with, depending on performance on tests, etc. Certain LMS also have an analysis component to the report, and help them assess learner engagement as well as training effectiveness. Effortless Administration for you: Trainers may easily delegate tasks and roles to members within the team and outside (such as team managers, or heads of departments) to ensure that responsibilities for managing training are equally distributed. 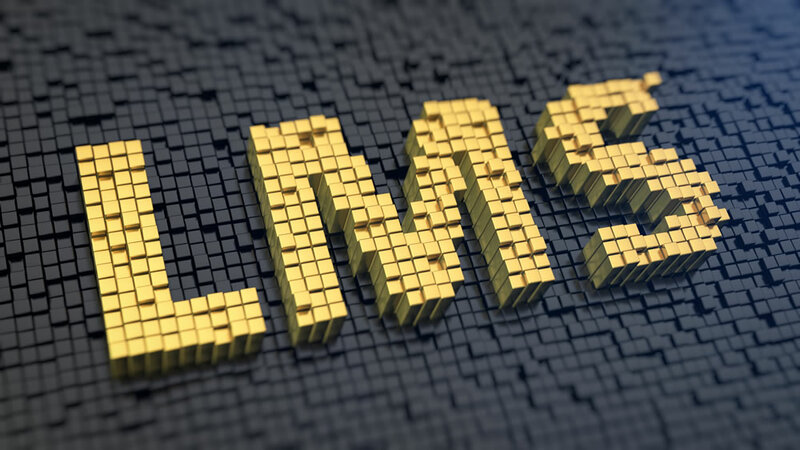 An LMS can host multiple users on the same platform at any given point of time. Valuable time could be saved while creating profiles for multiple users. By simply uploading CSV files with names and other details, multiple profiles can be created in minutes. Additionally, LMSs integrate easily with other CRMS or HRMS/ HRIS. This has facilitated a single-sign-on for the employee making it convenient to have information from various platforms in the organization at their fingertips. On the trainer’s end, the data from integrated platforms would give the trainer important information related to employee’s performance appraisals feedback with regards to training, or other relevant data for developing new courses for new roles in the organization. Monitor Learning Paths of each employee: Currently, organizations are plotting each employee’s learning path. A learning path is the list of training that is part of an extensive The course is broken down into short training modules which an employee may consume over a period. A learning path may also be divided into self-learning or instructor-led learning paths. This ensures that the department has figured out what certifications the employee needs to make a maximum output at work. Having the LMS keep track of learning paths means that it saves time for the learning and development teams in mapping the progress of each employee in the organization. With the help of the LMS, the learning and development team can now focus on marketing the course and communicating with employees about training in the organization. Since creating, monitoring, and evaluating training become easy; the L&D team may experiment in creating different types of content so that employees may be engaged better through their training programs. Some other crucial aspects such as feedback, monitoring, talking to each employee about their learning goals- can now be thoroughly studied. LMSs now play a huge role in organizations as they now form the base through which training may be delivered.